All purpose flour, 1 tbsp. 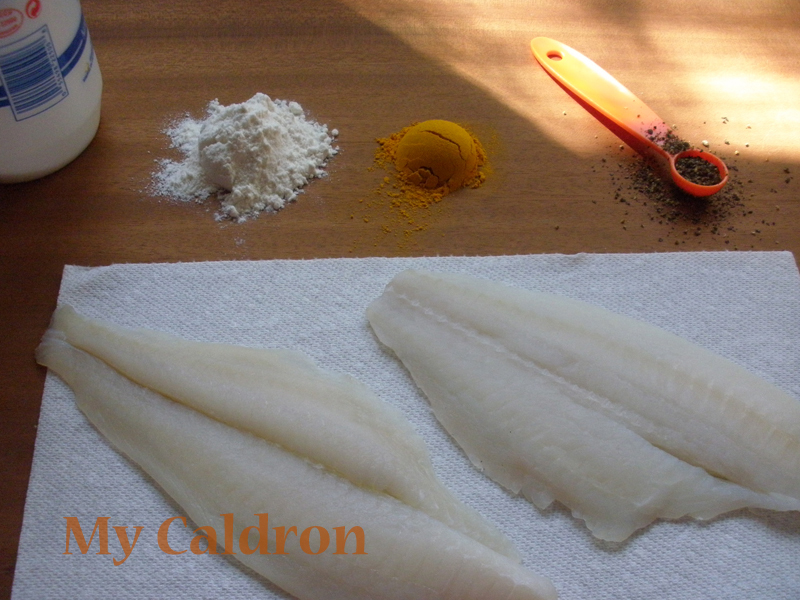 If you are using frozen fish, defrost completely in cold water. Rinse under cold water and pat dry. It is very important that the fish is completely dry; otherwise it will disintegrate while being fried. Sprinkle both side of fish with salt. At a corner of your cutting board, combine flour, turmeric and pepper. 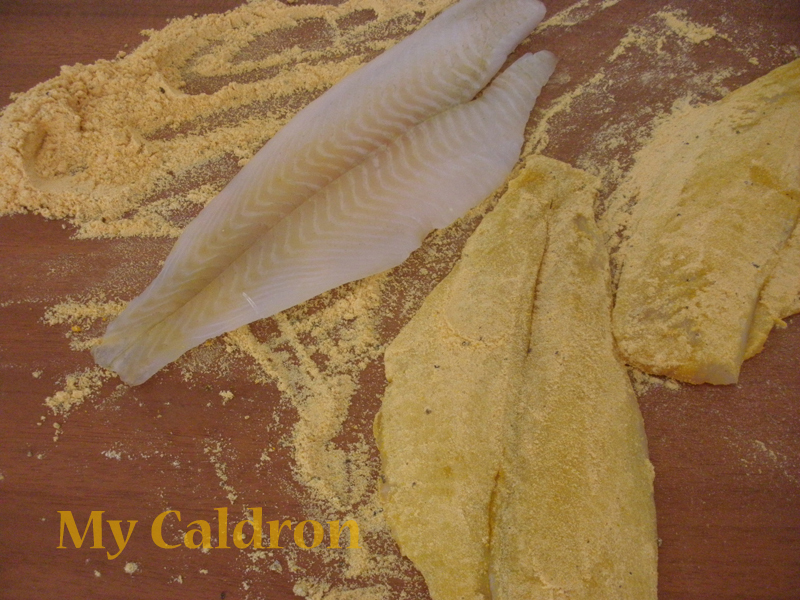 Cover both sides of each fillet in the flour/turmeric/pepper mixture and shake off excess powder. Place about 4 tbsp. of oil in a frying pan and once it is hot enough, sauté the fillets one at a time, making sure it has enough room to stay straight in the pan. If necessary, hold down the fillets with the back of a fork. Lightly brown fish on both sides over high heat for about 2-3 minutes, and try to turn them only once. Remove each fillet from oil and place on a thick paper towel to take out the excess oil before arranging them in a platter. 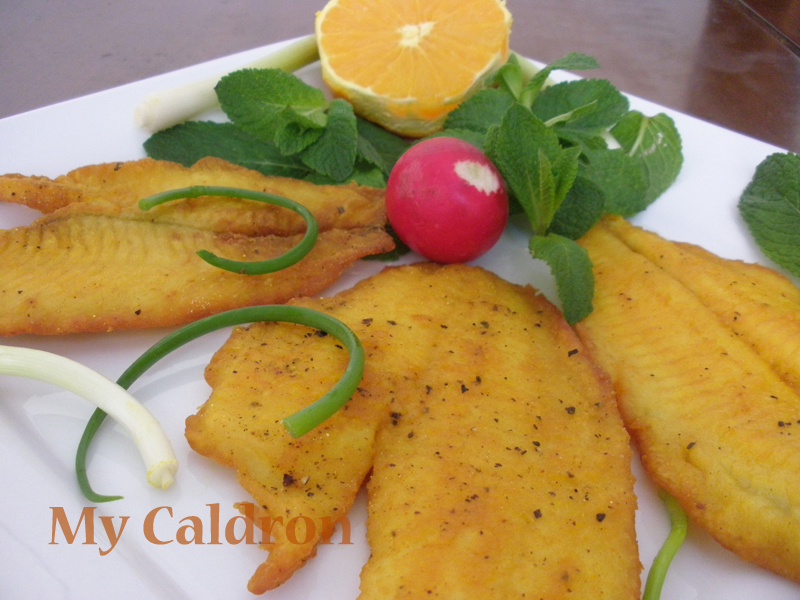 Fried fish fillets must be served hot out of the pan. It tastes wonderful with plain rice, herb-mixed rice or with oven-baked potatoes and vegetables. Lime, lemon, and/or sour-orange as well as raw herbs (sabzi) go very well with it too.